Searching for answers to iTunes and Apple Music? Ask The iTunes Guy, Kirk McElhearn. Q: I enjoy listening to music through Apple Music, and regularly come across something worth keeping. I know I can just add Apple Music tracks or albums to my iTunes library and even download them, but I’m old-fashioned; if I’m going to have something in my library and listen to it regularly, I like to own it. There doesn’t seem to be a “Buy This” or even a “View this in the iTunes Store” option for Apple Music tracks and albums. I end up having to manually search the iTunes store for the same music that I already had open in iTunes (Mac) or Music (iOS). Am I missing something obvious, or is Apple this uninterested in selling me the music it thought I’d like to listen to? It’s there, but perhaps not where you’d expect. 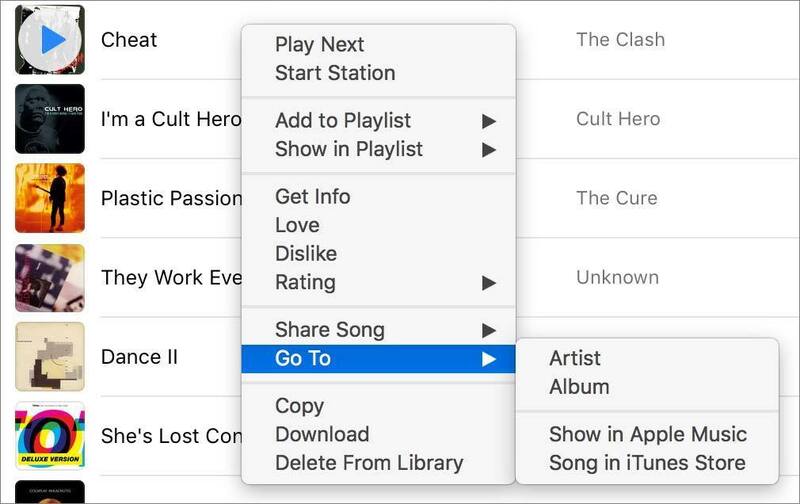 If you right-click on a track in iTunes, you’ll see a contextual menu. Choose Go To > Song in iTunes Store. Go to the iTunes Store to buy a song you’ve heard in Apple Music. However, there’s no way to do this on iOS. The only suggestion I have is that you create a playlist for music you want to buy, then add the songs to them on your iOS device. You can then go back to that playlist in iTunes on your Mac and check out the songs on the iTunes Store. Q: I bought a used CD and ripped it to add to my iTunes library. The last track has pops and skips. I bought another copy of the CD - it’s fairly old and out of print - and the same thing happens. Is there anything I can do to fix this? This is not uncommon with old, worn CDs. The last track of a CD is the one at the outside of the disc, and that area is more likely to be worn or damaged. When you try to rip a CD like that, you’ll get what’s called diginoise, those pops and clicks that come from areas where data isn’t read correctly. Different drives will react differently, and you may find that one drive can import the file without noise. Also, when you play it on a CD player, you may not hear that diginoise, because of the CD player’s error correction. In fact, if you play the CD on a computer, through an optical drive, the same error correction is often used, so you may not hear any noise either. 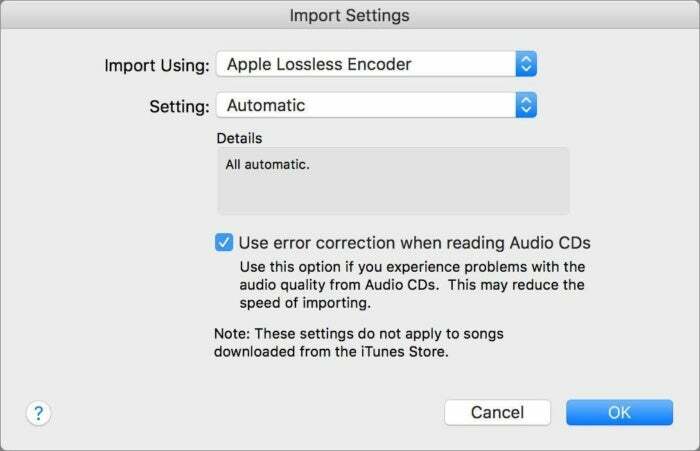 One thing you can try when importing is to turn on the Use Error Correction setting in the Import Settings of iTunes’ General preferences. I use this all the time, to ensure that there is as little diginoise as possible. Go to iTunes > Preferences > General, then click Import Settings. You can turn on error correction when ripping CDs in this window. This said, you mention that another CD has the same problem. This suggests that the actual master used for pressing the CDs may have been damaged. There are cases where that happens; I’ve had CDs that have needed replacing from the manufacturer because of pressing issues. If it’s a used CD, however, you won’t have many options. Q: I have noticed that some punctuation marks in a song’s title appear as underscores in my song library. And, the semi-colon is not allowed. Why is this? macOS reserves the colon and slash for file path separators, so it, and some other characters, get converted in the Finder. iTunes knows how to display these correctly in song and album names. The semi-colon is not allowed (in the Finder; you can use it in iTunes) because it’s used for certain shell scripts. If those characters were in file names, they could break scripts and certain system functions. Here’s a list of characters that macOS doesn’t like. You can use all these characters in iTunes, they just won’t show up the same in the Finder. Q: The word “The” is ignored in a song’s title when sorting by Name but is used by iTunes to direct the Artist’s name to be stored with “The” in its folder in the Finder. Can you explain this? 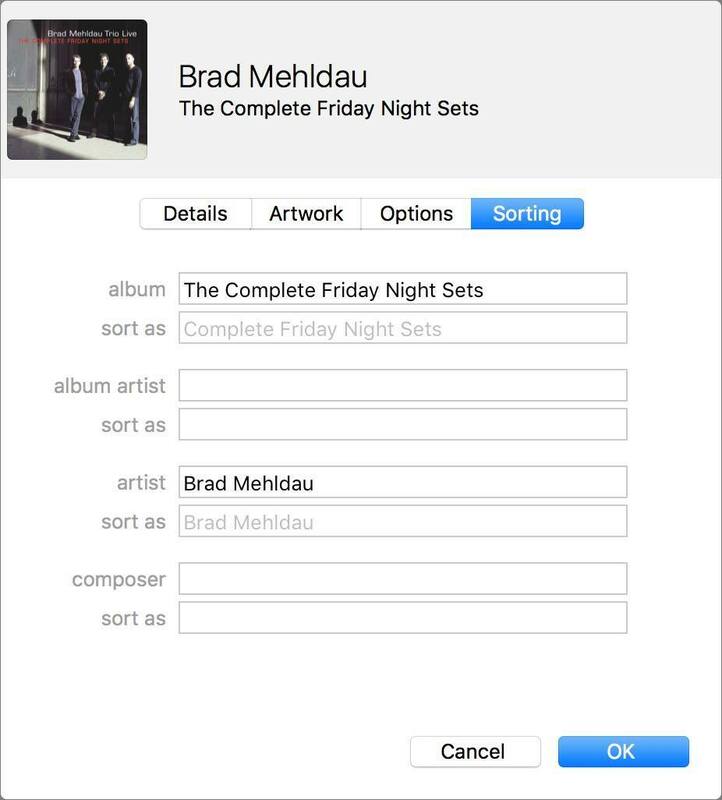 That’s the way iTunes sorts; it ignores the The unless you expressly tell it to sort that way. It assumes that you want to see, say, The Beatles at B in your artist list, not at T.
You can select an album, or even all the music by an artist, press Command-I, then in the Sorting tab, type the name with the The. If I want this album to sort at the letter T, I can enter the album name in the Album field on the Sorting tab of the Info window. In the file system, however, nothing is ever ignored when sorting.